14 miles down and only a few bruises and blisters so far. Half of us are craving a shower more than this girl craves chocolate. The rest are content to wait until our mid-trip hotel. 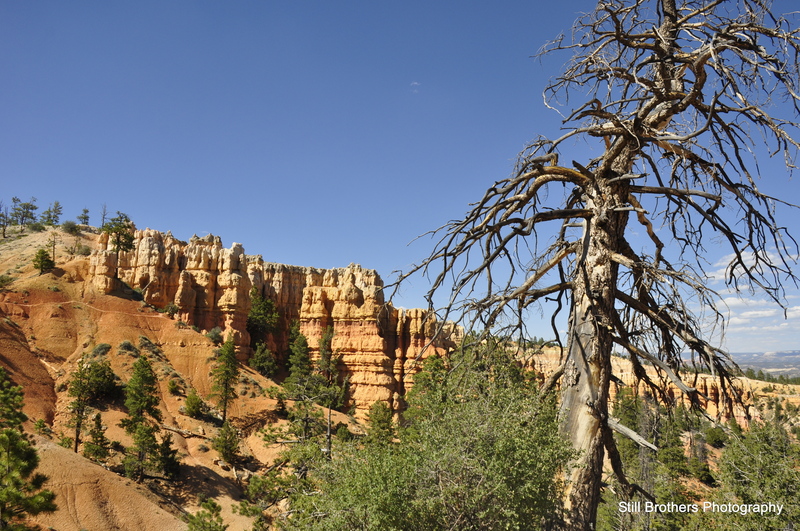 We arrived at Bryce Canyon just after lunch and quickly discovered that the only campsites left were for car camping. The good news was those who wanted could skip a few day hikes and shuck out $2.00 in quarters for 8 minutes of hot water. Smelly me picked the hikes. 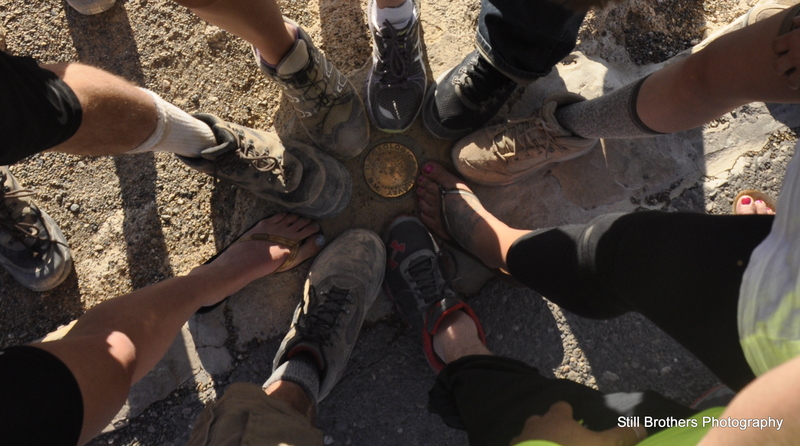 The group split again and a mere 4 of us sought to hike through the hoodoos while the rest showered and agreed to meet at the rim for sunset. 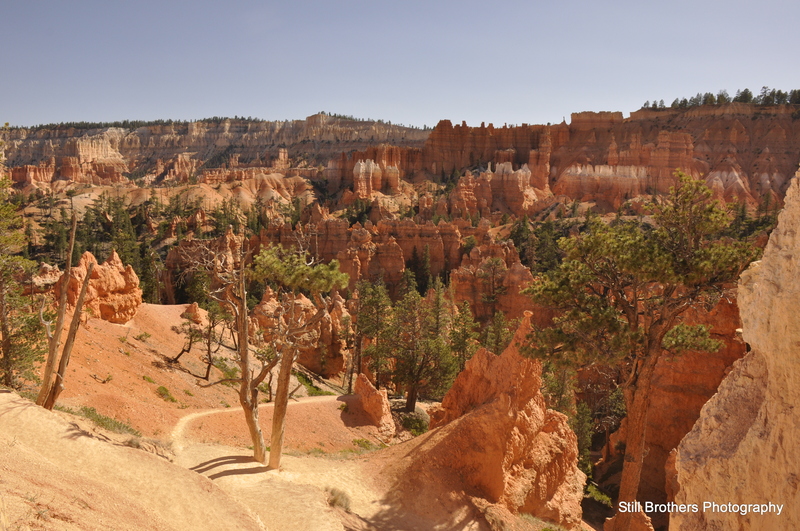 Bryce certainly has amazing views, with more hoodoos than you can count and an oral tradition about their origins. 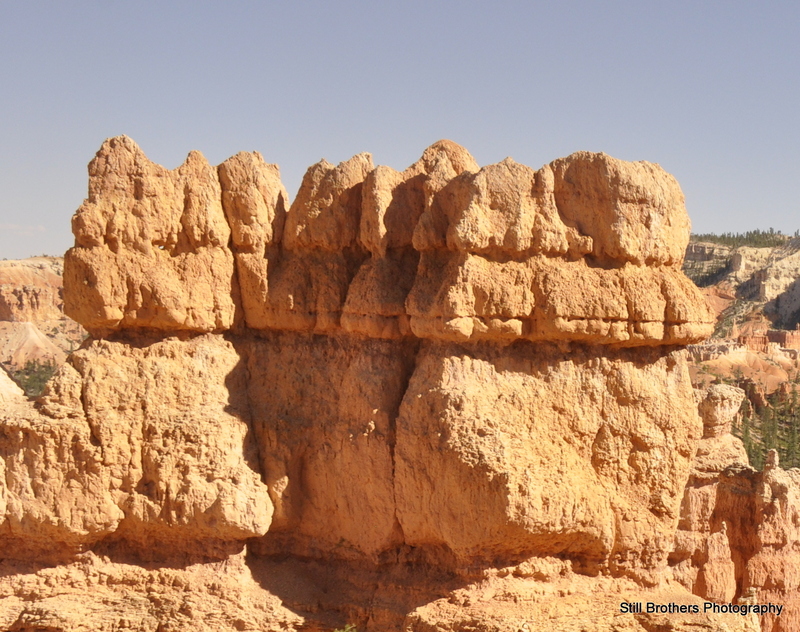 According to native Paiute Indians the hoodoos are the “Evil Legend People” put their by their powerful spirit The Coyote; frozen in stone for eternity. 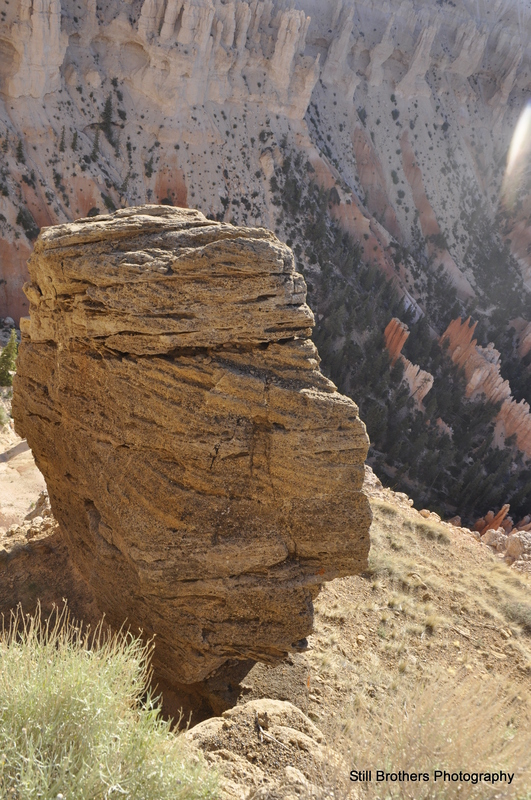 Looking to explore other National Parks in Utah? 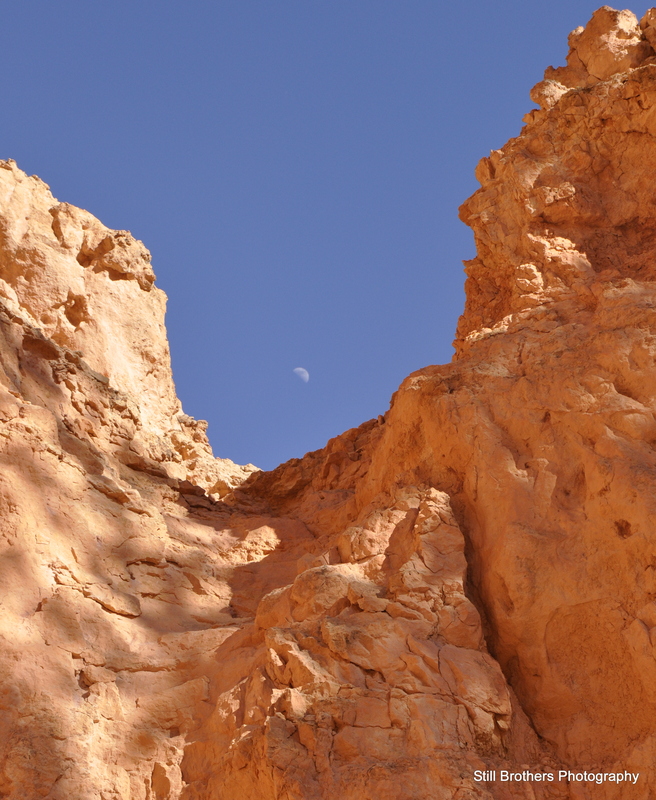 After briefly walking the rim we came across Queen’s Garden Trail, a frequently traveled steep path into the canyon. As we descended, we paused for a few photos, some yoga and to take in the breathtaking views. What a relief it was to hike without 50 lbs on your back! The moon made an appearance, getting slightly closer to the predicted super moon that we would narrowly miss on our flights home. 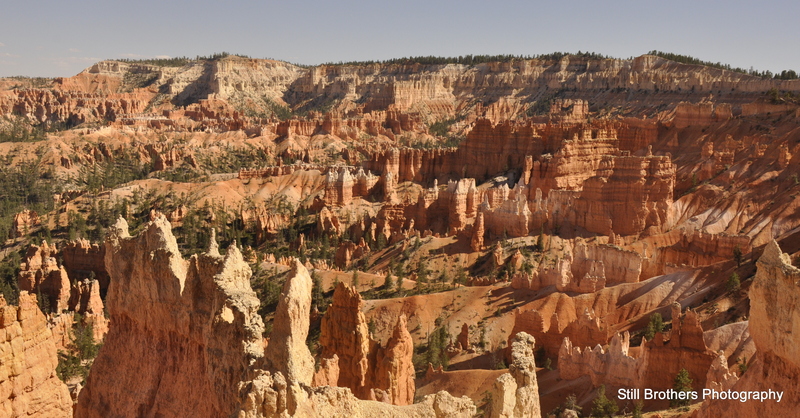 Heading to Utah? Here are some things you should know before you go! 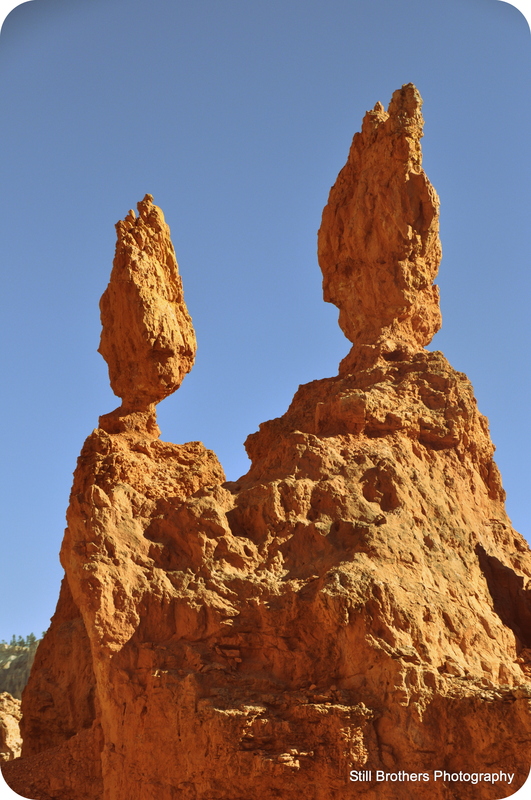 Hoodoos are magnificent naturally occurring rock formations. 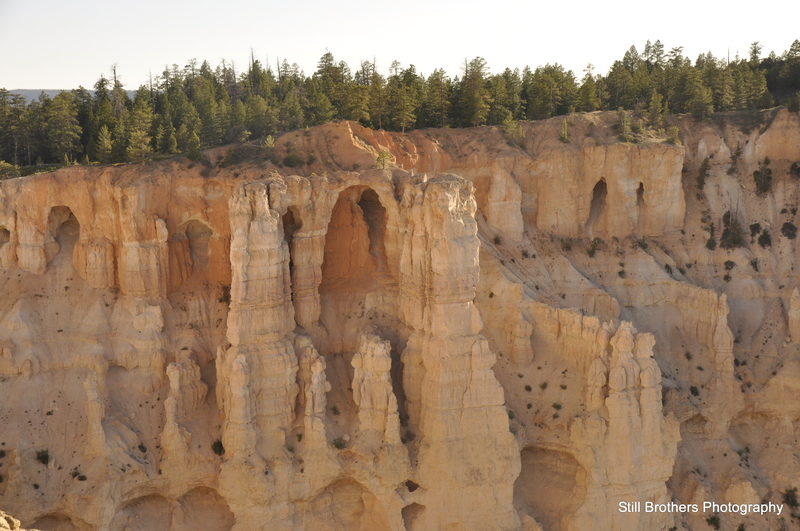 They start out as a curtain of layered rock; over the years weathering separates the hard and soft rock leaving brilliant structures. 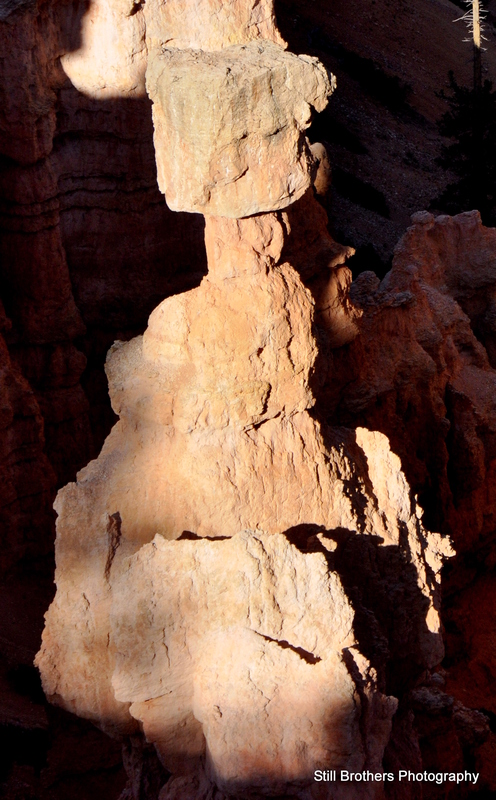 In Bryce Canyon some of the more famous ones include Thor’s Hammer, her majesty The Queen, and other shapely creations. 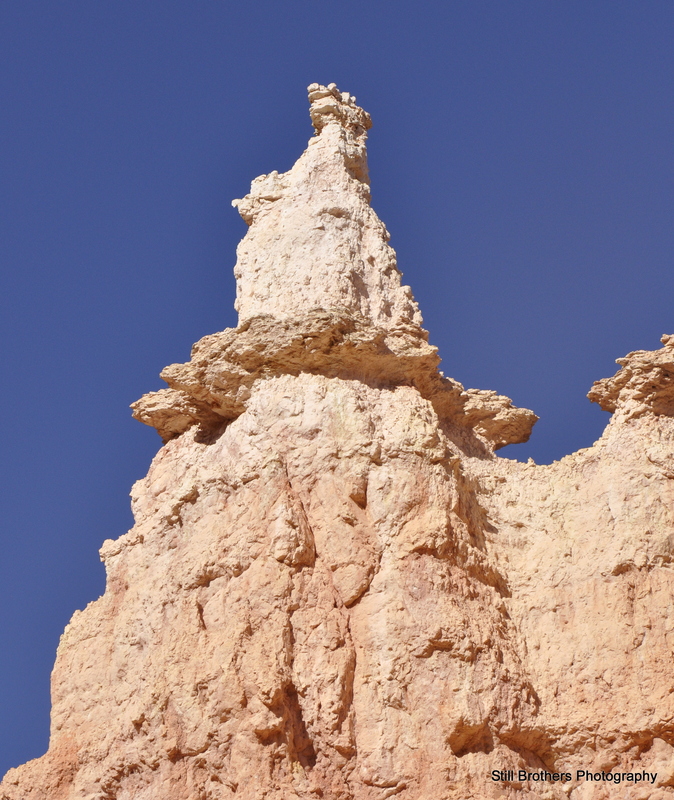 They often take on a resemblance to faces and although Bryce Canyon is one of the most prominent locales for hoodoos they do in fact form worldwide. 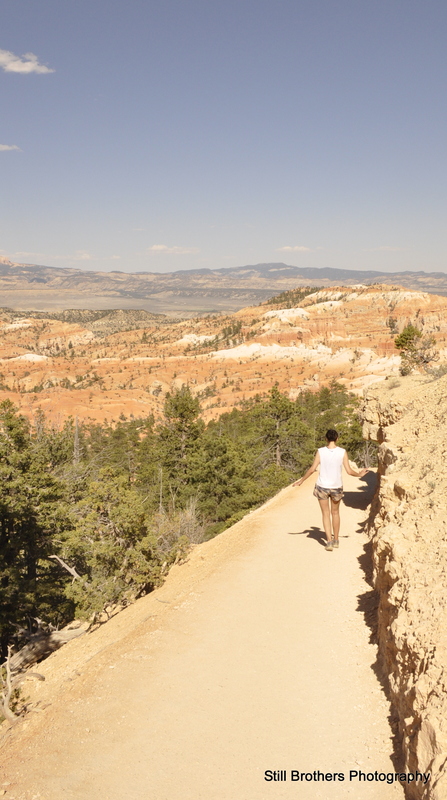 We made our way back up the path, passing what appeared to be some jabbering apes and jumped back in our car for a drive around the rim. We found the rest of our group at one of the many scenic overlooks; they declined numerous hugs from us muddy folk as we broke out the beer and wine for one more beautiful sunset. 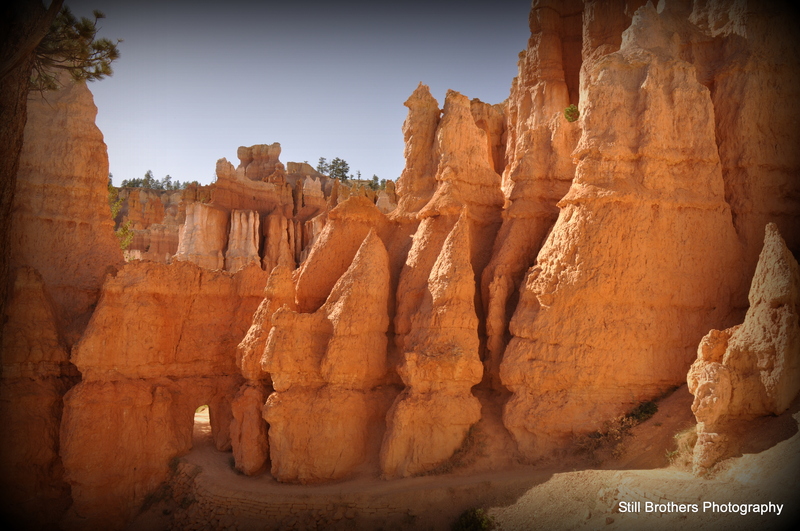 Our day at Bryce nearly complete, we were quickly disappointed that the local brew didn’t provide screw tops! Luckily, one among us doubles as a human bottle opener. Although we cringed for her teeth after a few gulps were happy for her contribution. 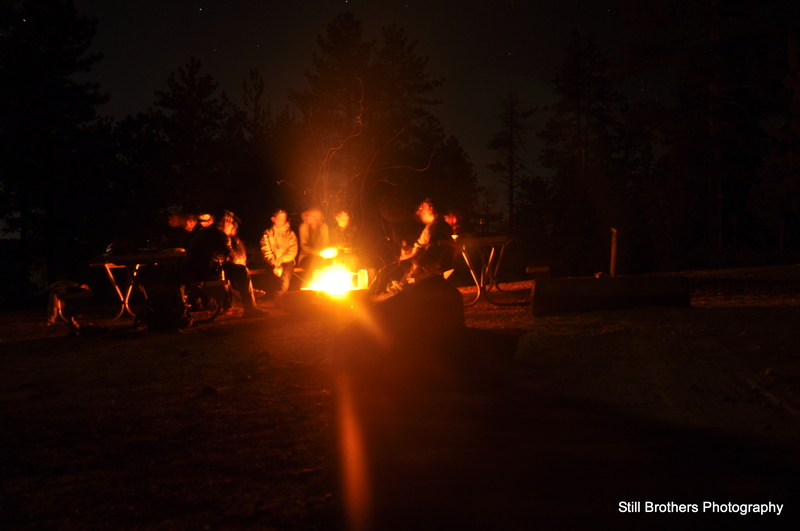 Back at our campsite we grilled up some burgers, broke out the scotch and enjoyed the starry night. Its hard to believe that many of us met only days prior as we crawled into our tents, excited from our travels so far and eagerly awaiting the days to come. Check out Day 2 here! I hope everyone likes it too! 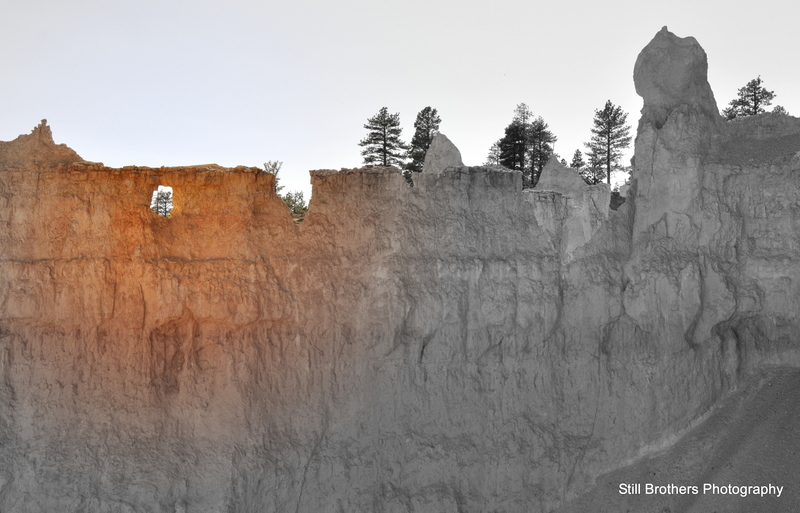 Bryce Canyon is such a beautiful place filled with natural wonder.